I have a love for chicken. 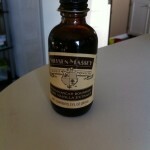 It is my favorite go-to meat when I want something healthy and delicious. This recipe for Creole Chicken with Mango Salsa I discovered several years ago when I got one of those mailing packages with a few test recipes inside. My husband and I had just discovered that we liked spicy foods so I cooked it up giving it a try. it was out of this world delicious — and spicy! 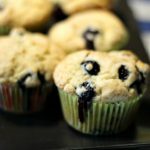 Make this recipe. You will be SO glad you did! Combine all the spices together and place in a ziplock bag. Shake them to mix together. Add the chicken and toss to coat. Heat olive oil in a skillet and fry the chicken until it is done. 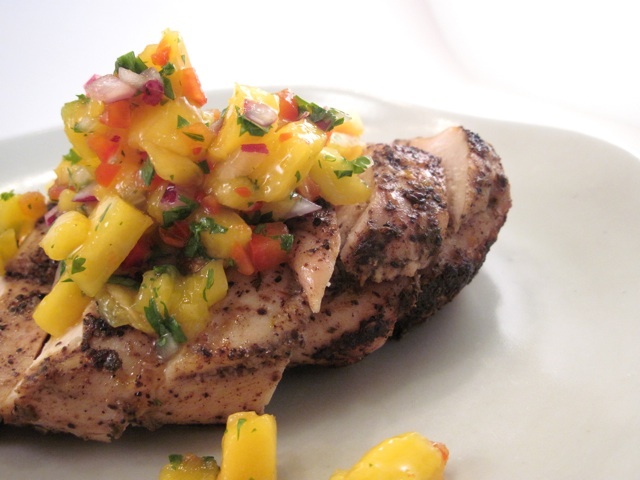 Arrange the chicken on the plate and top with mango salsa and cilantro. In a medium bowl, mix together all the ingredients. 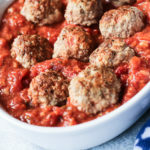 Cover, and allow to sit at least 30 minutes before serving. 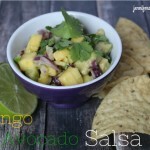 Wow this looks delicious, I love mango salsa too. 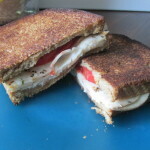 Thanks for sharing on newlyweds recipe Linky, please don’t forget to link back so others can join in too.